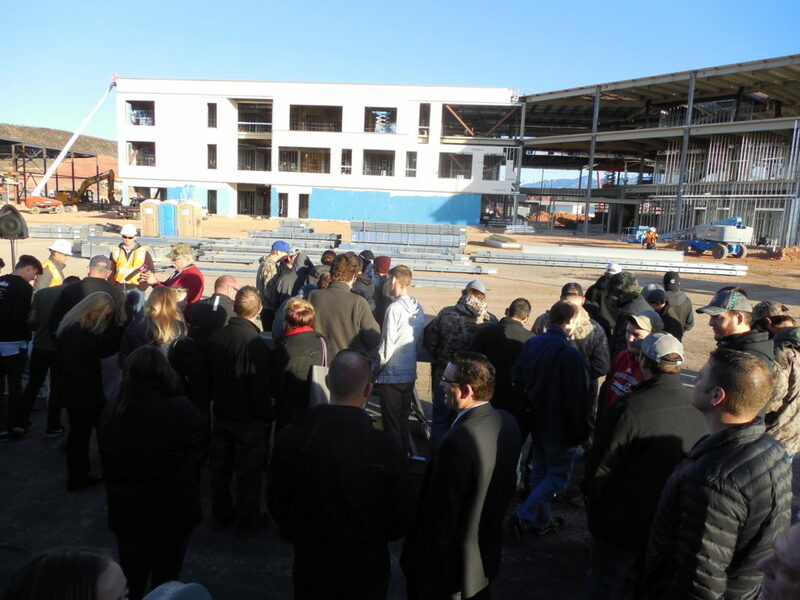 ST. GEORGE – Dixie Applied Technology College marked a major milestone Wednesday in the construction of the college’s new campus at the Ridge Top Complex in St. George. 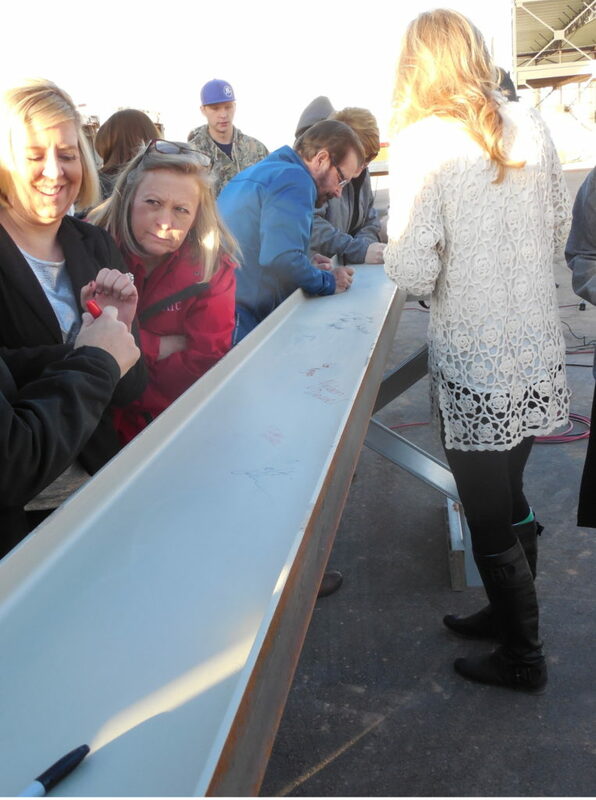 Faculty, staff, students and legislators who helped get the needed funding for the new building gathered to sign their names on the structural steel beam. Approximately 60 people turned out for the event. “They’ll place it (the beam) and then, forever, we’ll be able to look at that beam and see all the names of the people that are here today,” Stephens said. 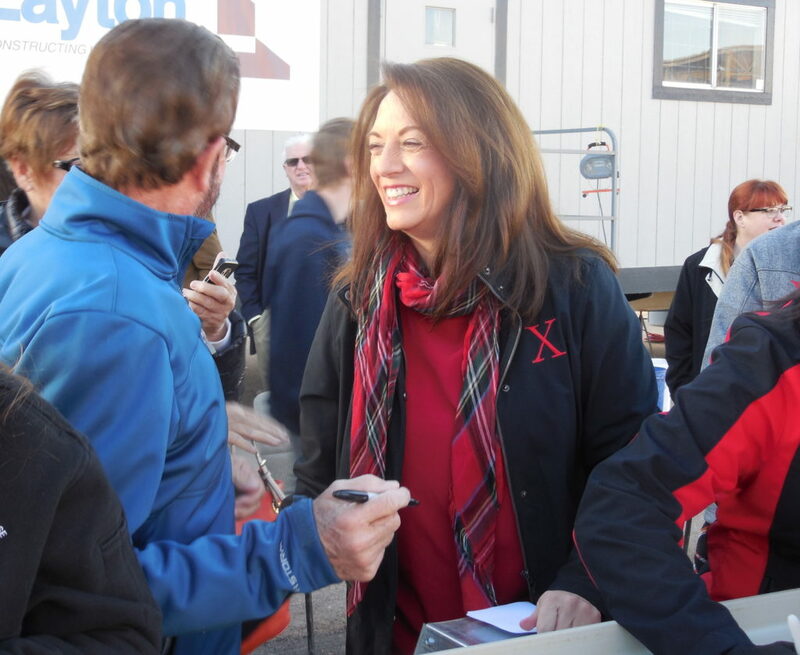 Dixie Applied Technology broke ground on the new campus in January. The new building is expected to be finished in early October 2017, Stephens said, and is being built by Layton Construction Company. The estimated price tag for the new facility is $44.9 million; with state funding of $31.9 million. The college must cover the remaining $13 million. Board member Stephen Wade is heading up fundraising efforts; Washington County has committed to an $8 million bond, leaving $5 million to be raised privately. “We’re down to the last million and a half,” Stephens said. The project is located on a 30-acre piece of land owned by the college in the Ridge Top Complex just north of the old SkyWest Airlines terminal, which is now under use as the Dixie Applied Technology College Emergency Response Training Center. The new campus will consist of three buildings; the Emergency Response Training Center and two more buildings under construction. The Professional Building will house administration offices and student services as well as digital media design, drafting, programming, information technology programs and more, Stephens said. 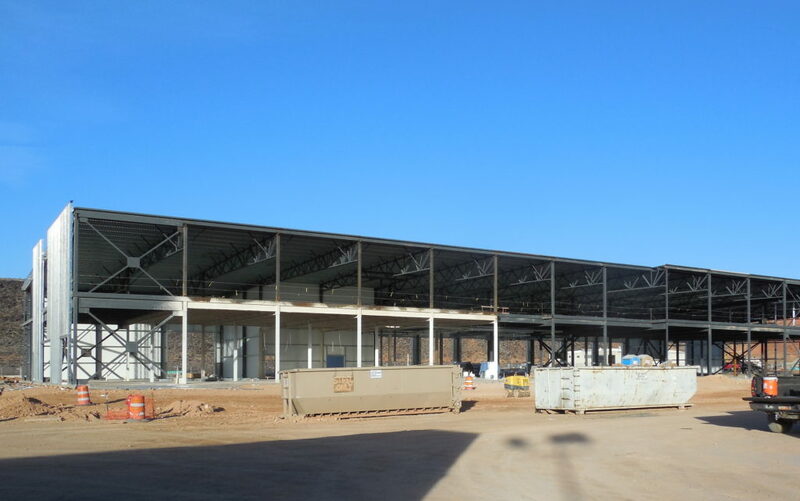 The Industrial Building will house the auto body, auto technician, diesel technology, welding, HVAC technical apprenticeship, manufacturing and machining programs. The college has operated out of leased space ever since its creation in 2001. “When these buildings are completed, we’ll be able to bring programs that are now scattered through four different locations in the valley – and they will all be here, all together, one main campus,” Stephens said. 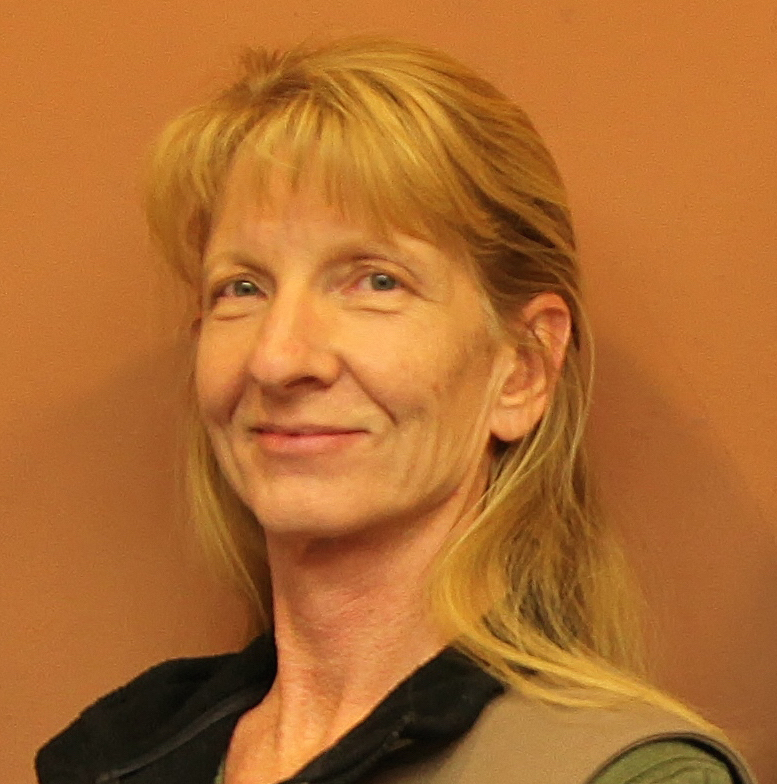 This is a grand day for DXATC and I’m sure this will result in a positive reaction from the community and I would like to thank all those involved in making this possible. this is another sign that our wonderful community is prospering and moving forward. Praise the Lord !